Periodic changes in Google’s search criteria and algorithms have indeed hurt many Web sites. But it’s possible to bullet-proof your site’s prominence on Google by taking 14 precautions, which is worth your time and energy. Google has perennially owned about a 66 percent search-market share in the U.S. and a 90 percent share worldwide. Combined, Bing and Yahoo have about 30 percent in the U.S. Most of the other search engines are also powered by Google. So, obviously, it will behoove you to take full advantage of strategies to maximize your presence on Google. Make frequent changes on your home page. But be sure it’s all about quality and relevance to Internet users. For content marketing, regularly blog about relevant topics (see Google Speaks Out About Frequency vs. Value). Interact with your target audience using the salient social mediums: Twitter, LinkedIn, Facebook and Google+. Here are 8 Tips to Optimize Sales with Social Media, But Beware of a Red Flag. Be very careful about what you post – keep it professional and on business. Don’t assume that your professional profile can be separate from your personal life. Did I say be careful? Be aware that Google is influenced by links from the news media, quality online press releases distributed by authoritative firms, and other sites with a strong Google page rank (PR). Be careful about your other links. Do not allow weak Google PR pages to link to you. Minimize your links to other sites, as Google will perceive you as being manipulative. Make certain your profile or bio is professional and consistent throughout. Use the same picture. Check your Internet reputation on a frequent business. Here are Best Practices to Optimize Your Brand, Manage Your Web Reputation. 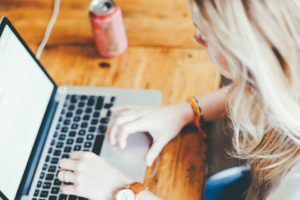 If you have employees, develop and implement a social media policy regarding your business reputation. Change your passwords frequently – make sure they’re strong. 6. Separate business and your personal life. Avoid posting compromising photos, text or videos. Accelerate your site’s download speed, which is important. See Google’s Continuing Quest to Increase Page Speeds and In SEO, Your Site’s Download Speed Matters to Google. Understand what matters to Google – see Google Insights – 23 Key Questions about Your Web Site. Despite what you might read, pay close attention to your use of meta tags and key words. They will influence Google and the other search engines. My only regret about Google: That it hasn’t found a way to restart its real-time feature with Twitter. If you use the 14 recommended strategies, and if Google and Twitter get back together for real-time results, you’ll really rock. Oh, here’s more good news — surprise — these strategies work on Yahoo and Bing, too. 10 Tips to Optimize Your Web Site for Higher Sales — If you haven’t optimized your Web site for sales, you might want to reconsider. There are more and more indications that online shopping will continue to grow. Startup Toolkit to Make a Hit on the Internet — Just like your bricks and mortar location, your Internet presence will be strong if you always remember why people will buy from you. By Adding Bells and Whistles, You Risk Losing Money with a Slower Site — At alarming rates, many top e-commerce Web sites risk losing sales because they’re too slow according to a study. Here are ways to accelerate the speed of your Web site.